The book will showcase the man behind the ALS Ice Bucket Challenge. 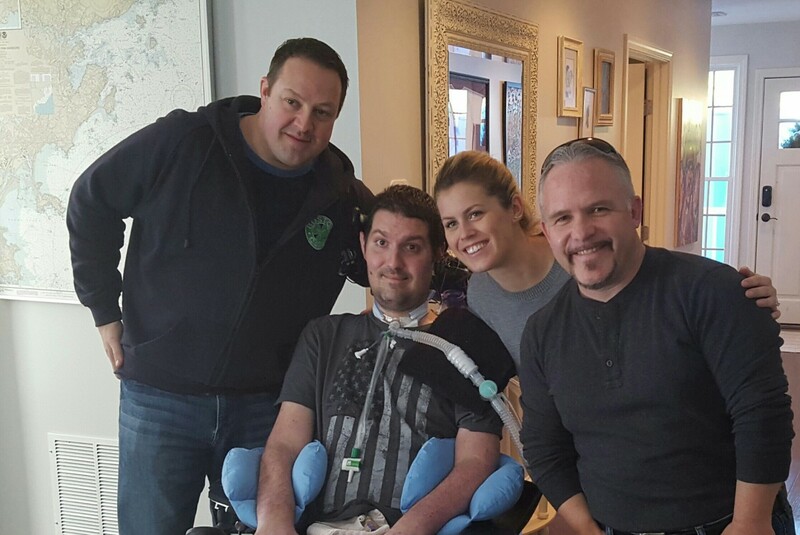 By Matt Juul·	 3/16/2016, 4:03 p.m.
Casey Sherman and Dave Wedge, the authors behind the Marathon bombing book Boston Strong: A City’s Triumph over Terror, are teaming up with the Frates family for a new memoir on ALS advocate Peter Frates. Announced on Wednesday, the project will detail Frates’ four year battle against ALS, or Lou Gehrig’s disease, which is a progressive neurodegenerative illness that causes issues for nerves in the brain and spinal cord. The Beverly native and Boston College alum became a worldwide sensation after spearheading the Ice Bucket Challenge, which spread like wildfire across social media and raised over $220 million for research on the disease. The project will be offered to publishers to bid on later this spring and is tentatively scheduled for release sometime in 2017.